Fact: vehicle accidents kill more 15 to 25 year-olds worldwide than anything else. But would that still be the case if we replaced our hulking 1,000 pound steel cars with 300 pound foam vehicles? Spira, an entrant in the Progressive Insurance Automotive X Prize, is made out of soft foam–a quality that makes it ultra-safe for pedestrians. 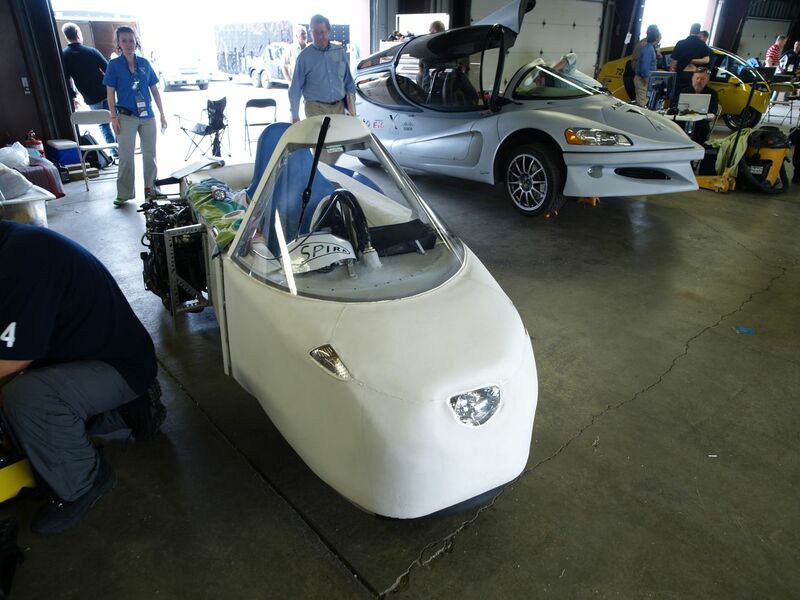 According to Autobloggreen, the three-wheeled vehicle features a plastic coreboard frame coated with epoxy fiberglass and covered with covered by polyurethane foam, which is the same material used to make Crocs. Spira also comes with a Ninja 250 Kawasaki engine, tandem seating, handlebar steering, pedal-operated hydraulic brakes, and cameras to replace traditional mirrors. It’s efficient (110 MPG), safe (if you don’t crash into a truck, at least), and a potential option for customers who don’t want to ride a motorcycle or shell out $15,000 for a full-fledged car. But whether it can beat teams like Aptera, ZAP, and Tata Motors for the X Prize remains to be seen.